Heated Seats, Alloy Wheels, Satellite Radio, Back-Up Camera, Onboard Communications System, iPod/MP3 Input. EPA 32 MPG Hwy/22 MPG City! XLE trim. AND MORE! KEY FEATURES INCLUDE Heated Driver Seat, Back-Up Camera, Satellite Radio, iPod/MP3 Input, Onboard Communications System. EXPERTS REPORT Great Gas Mileage: 32 MPG Hwy. 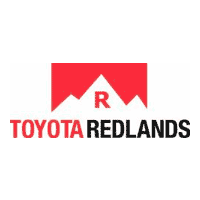 OUR OFFERINGS Welcome to Toyota of Redlands. Come visit our brand new dealership on 8 acres conveniently located where the 10 and 210 meet. We have been family owned for 20+ years. Our #1 GOAL is CUSTOMER SATISFACTION! Fuel economy calculations based on original manufacturer data for trim engine configuration. Please confirm the accuracy of the included equipment by calling us prior to purchase. Heated Seats, Back-Up Camera, Satellite Radio, iPod/MP3 Input, Aluminum Wheels, Onboard Communications System. XLE trim. FUEL EFFICIENT 32 MPG Hwy/22 MPG City! READ MORE! KEY FEATURES INCLUDE Heated Driver Seat, Back-Up Camera, Satellite Radio, iPod/MP3 Input, Onboard Communications System. EXPERTS RAVE Great Gas Mileage: 32 MPG Hwy. BUY FROM AN AWARD WINNING DEALER Welcome to Toyota of Redlands. Come visit our brand new dealership on 8 acres conveniently located where the 10 and 210 meet. We have been family owned for 20+ years. Our #1 GOAL is CUSTOMER SATISFACTION! Fuel economy calculations based on original manufacturer data for trim engine configuration. Please confirm the accuracy of the included equipment by calling us prior to purchase. Heated Seats, Aluminum Wheels, Back-Up Camera, Satellite Radio, Onboard Communications System, iPod/MP3 Input. XLE trim. EPA 32 MPG Hwy/22 MPG City! READ MORE! KEY FEATURES INCLUDE Heated Driver Seat, Back-Up Camera, Satellite Radio, iPod/MP3 Input, Onboard Communications System EXPERTS RAVE Great Gas Mileage: 32 MPG Hwy. VISIT US TODAY Welcome to Toyota of Redlands. Come visit our brand new dealership on 8 acres conveniently located where the 10 and 210 meet. We have been family owned for 20+ years. Our #1 GOAL is CUSTOMER SATISFACTION! Fuel economy calculations based on original manufacturer data for trim engine configuration. Please confirm the accuracy of the included equipment by calling us prior to purchase. Heated Seats, Back-Up Camera, Hybrid, Satellite Radio, Alloy Wheels, iPod/MP3 Input. Hybrid XLE trim. FUEL EFFICIENT 44 MPG Hwy/43 MPG City! AND MORE! KEY FEATURES INCLUDE Heated Driver Seat, Back-Up Camera, Hybrid, Satellite Radio, iPod/MP3 Input. EXPERTS ARE SAYING Great Gas Mileage: 44 MPG Hwy. BUY FROM AN AWARD WINNING DEALER Welcome to Toyota of Redlands. Come visit our brand new dealership on 8 acres conveniently located where the 10 and 210 meet. We have been family owned for 20+ years. Our #1 GOAL is CUSTOMER SATISFACTION! Fuel economy calculations based on original manufacturer data for trim engine configuration. Please confirm the accuracy of the included equipment by calling us prior to purchase. Moonroof, Heated Seats, Aluminum Wheels, Back-Up Camera, iPod/MP3 Input, Satellite Radio. XSE trim. FUEL EFFICIENT 31 MPG Hwy/22 MPG City! READ MORE! KEY FEATURES INCLUDE Sunroof, Heated Driver Seat, Back-Up Camera, Satellite Radio, iPod/MP3 Input. EXPERTS RAVE Great Gas Mileage: 31 MPG Hwy. WHO WE ARE Welcome to Toyota of Redlands. Come visit our brand new dealership on 8 acres conveniently located where the 10 and 210 meet. We have been family owned for 20+ years. Our #1 GOAL is CUSTOMER SATISFACTION! Fuel economy calculations based on original manufacturer data for trim engine configuration. Please confirm the accuracy of the included equipment by calling us prior to purchase. Sunroof, Heated Seats, Back-Up Camera, Satellite Radio, iPod/MP3 Input, Alloy Wheels. XSE trim. EPA 31 MPG Hwy/22 MPG City! CLICK NOW! KEY FEATURES INCLUDE Sunroof, Heated Driver Seat, Back-Up Camera, Satellite Radio, iPod/MP3 Input. EXPERTS ARE SAYING Great Gas Mileage: 31 MPG Hwy. VISIT US TODAY Welcome to Toyota of Redlands. Come visit our brand new dealership on 8 acres conveniently located where the 10 and 210 meet. We have been family owned for 20+ years. Our #1 GOAL is CUSTOMER SATISFACTION! Fuel economy calculations based on original manufacturer data for trim engine configuration. Please confirm the accuracy of the included equipment by calling us prior to purchase. Sunroof, Heated Seats, Alloy Wheels, Back-Up Camera, iPod/MP3 Input, Satellite Radio. XSE trim. EPA 31 MPG Hwy/22 MPG City! AND MORE! KEY FEATURES INCLUDE Sunroof, Heated Driver Seat, Back-Up Camera, Satellite Radio, iPod/MP3 Input. EXPERTS CONCLUDE Great Gas Mileage: 31 MPG Hwy. OUR OFFERINGS Welcome to Toyota of Redlands. Come visit our brand new dealership on 8 acres conveniently located where the 10 and 210 meet. We have been family owned for 20+ years. Our #1 GOAL is CUSTOMER SATISFACTION! Fuel economy calculations based on original manufacturer data for trim engine configuration. Please confirm the accuracy of the included equipment by calling us prior to purchase. NAV, Sunroof, Heated Seats, Alloy Wheels, Hybrid, Back-Up Camera. EPA 43 MPG Hwy/43 MPG City! Hybrid XSE trim. SEE MORE! KEY FEATURES INCLUDE Navigation, Sunroof, Heated Driver Seat, Back-Up Camera, Hybrid. EXPERTS RAVE Great Gas Mileage: 43 MPG City. VISIT US TODAY Welcome to Toyota of Redlands. Come visit our brand new dealership on 8 acres conveniently located where the 10 and 210 meet. We have been family owned for 20+ years. Our #1 GOAL is CUSTOMER SATISFACTION! Fuel economy calculations based on original manufacturer data for trim engine configuration. Please confirm the accuracy of the included equipment by calling us prior to purchase.